For footscan® analysis and personal advice you are welcome in our stores. In order to serve you even better in this digital world, you can now buy your favorite running shoes online. Now you can make your runners' lab purchases online. But how does that work? Reservations are now also possible! If you have been running with your favorite shoe for years or did you already carry out a Runners' lab analysis, reserve your shoe here and pick it up at the Runners' lab branch of your choice. No time to come by? Still like a nice outfit for your next race or training? Take a look at the latest running collection in our webshop and get inspired. Have you forgotten something during your visit to Runners' lab or do you know exactly what item you are looking for? Then home delivery is your choice. As the largest running specialist in Belgium, we have the most diverse and specialized range available. This mysterious stock was not visible for you to see, until now. From now on we would like to share this with you, so that you can now simply walk through our stock online. Be the first to discover limited editions and hard to find models. Thanks to our years of experience and built-up reputation among the major brands, we are the only running specialist in Europe with track & field spikes available in all disciplines. We do not allow ourselves to be influenced by the online price war that is going on. Because we are anything but a regular specialty store, we like to show that it can also be done differently. With all your online purchases our known after-sales service applies. You are therefore always welcome at our stores for additional advice, personal adjustments or exchanges in our physical stores. Online we cannot offer you the same extensive advice as you are used to when visiting one of our Runners' lab stores. 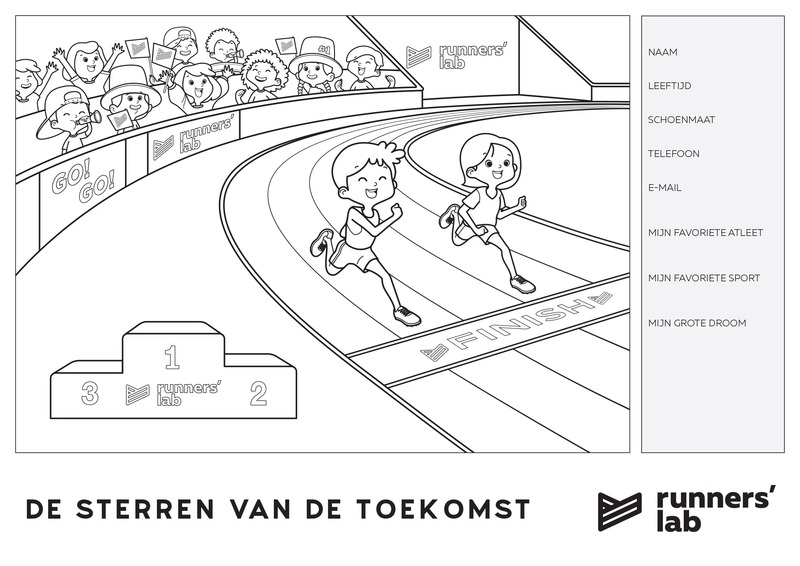 That is why you receive a Friends of Runners' Lab discount code of € 15 or € 20 (valid in our webshop). Every customer receives this discount code (E-mail) after making a purchase in one of our stores.